Acrylic pouring is a technique which involves pre mixing fluid acrylics or acrylic ink with a pouring medium and then pouring it over a panel or canvas to create gorgeous abstract patterns, controlled squiggles or landscapes. In this section you will find everything you need to create a pour painting, including pouring medium, liquid colour, tools, gloves and canvases and boards. 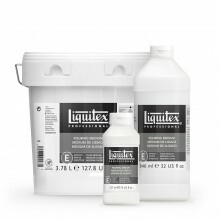 We have a wide range of effect resins, pigment pastes and pouring mediums so that you can experiment to perfect your technique. You can view our beautiful selection of acrylic inks and acrylic high flow colour which can be mixed with pouring mediums here.